Uttar Pradesh Chief Minister Akhilesh Yadav today reached the Prime Minister's Office (PMO) in New Delhi and met PM Narendra Modi to discuss the water scarcity issue in the state, especially in the Bundelkhand region. UP chief secretary Alok Ranjan accompanied him. PM Modi will also hold meetings with chief ministers of Maharashtra and Karnataka to discuss the water crisis issue and review the drought situation in their states. 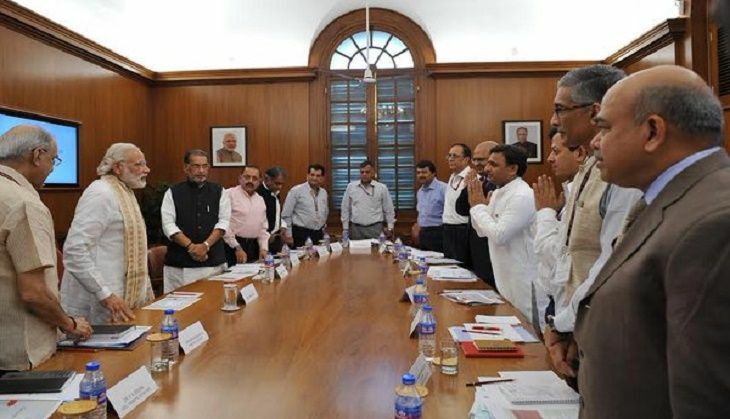 The CMs of the drought-hit states will meet the PM in separate meetings which will be attended by ministers and officials of the concerned ministries. Apart from taking stock of the situation, PM Modi will also review steps taken by the states to address drought-related problems. He will also seek details of the progress of relief work in the meeting with the Chief Ministers so that the issue could be resolved at the earliest.